Fisk works with students in the Pearce Center. It began in the 1980s when Robert Roy Pearce ’41 developed a belief that colleges should improve the writing and communication skills of students from all majors. As a Clemson alumnus who came from a long line of successful businessmen, Pearce decided to craft a plan designed to strengthen Tigers’ communication skills. So in 1989, Roy and wife, Margery “Marnie” Pearce, donated $1.5 million to Clemson to endow the Roy and Marnie Pearce Center for Professional Communication. When Pearce and the other members of the Class of 1941 celebrated their 60th anniversary, they provided the University with a million-dollar gift to fund the construction of the Class of 1941 Studio, which opened its doors in Daniel Hall in 2004 and became the home of the Pearce Center. The center has three signature initiatives — the Writing Fellows Program, the Internship Program and the Client-Based Program — all of which are designed to integrate students into real-world situations. The Writing Fellows Program was formed through a collaboration between the Pearce Center and the Honors College. Writing Fellows mentor and provide peer editing for other students. In the Internship Program, students immerse themselves in the world of professional communication and work on many long-term projects including writing, editing, video production and graphic design. The Client-Based Program was started in 2003 by the late Summer Smith Taylor, whose goal was to give students the opportunity to practice what they are learning in the classroom. Students assist with client projects ranging from website development and social media plans to rebranding. “The program matches classes to clients who need deliverables,” said Ashley Fisk, assistant director of the Pearce Center and director of the Client-Based Program. 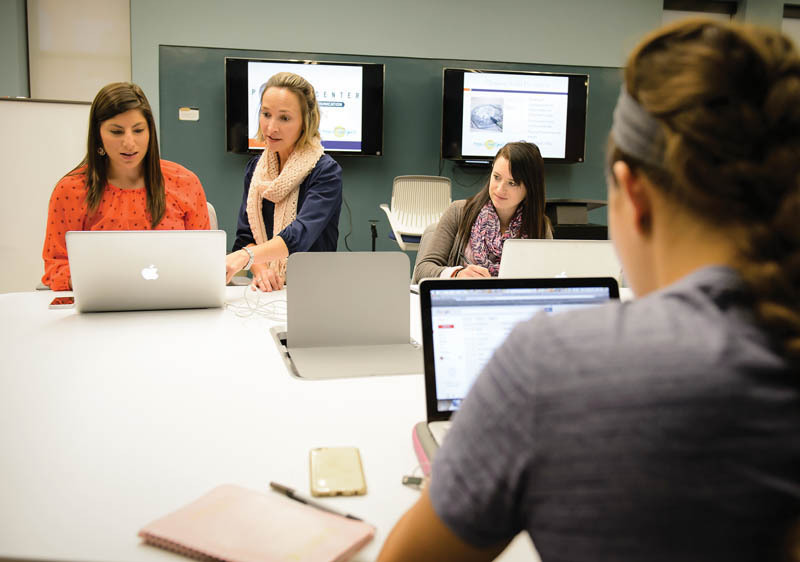 The center has made an impact on Clemson as a whole by contributing to the University’s efforts to teach writing across the curriculum, for which the University has been recognized by U.S.News & World Report. The 2016 ranking places Clemson among recognized schools such as Brown, Harvard and Duke. The Pearces will always be remembered for their support, generosity and dedication to student success. Along with improving the communication skills of Clemson students, the couple established the Dr. R. Roy Pearce HD ’41 & Margery W. Pearce Library Endowment and provided funding for student scholarships. Due to their generosity, the Pearces were inducted last fall into the Fort Hill Legacy Society, which honors donors posthumously for leaving $1 million or more to the University in their estate plans. A ceremony dedicating a bronze leaf in the Pearces’ memory was held as part of the annual Legacy Day celebration. The leaves are placed under the Second Century Oak, which stands at Fort Hill on the historic site of the Trustee Oak and the University’s first Board of Trustees meeting. For more information about how you can include Clemson in your estate plan, contact Jovanna King at jovanna@clemson.edu or 864-656-0663, or go to clemson.edu/giving.